So, how do you make sure your product or service gets in to as many homes as possible… a cool website? Aggressive e-marketing? Heavy main stream advertising? SEO? Social? Direct mail? A little of all??? maybe… But I still find one mechanism above all is still the best, strongest and often most reliable vehicle for winning new business… word of mouth. And, being Christmas, there is one particularly wonderful example of this sort of marketing. 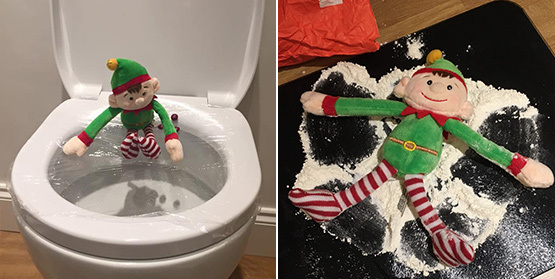 By creating a incredibly simple, affordable product and attaching a very likeable, human, and often funny story to it, Elf on a Shelf is as popular as ever. Has this ever been advertised or shouted about – not really, and if it has I have not seen it – but I have heard about it… oh my have I heard about it. and seen it! 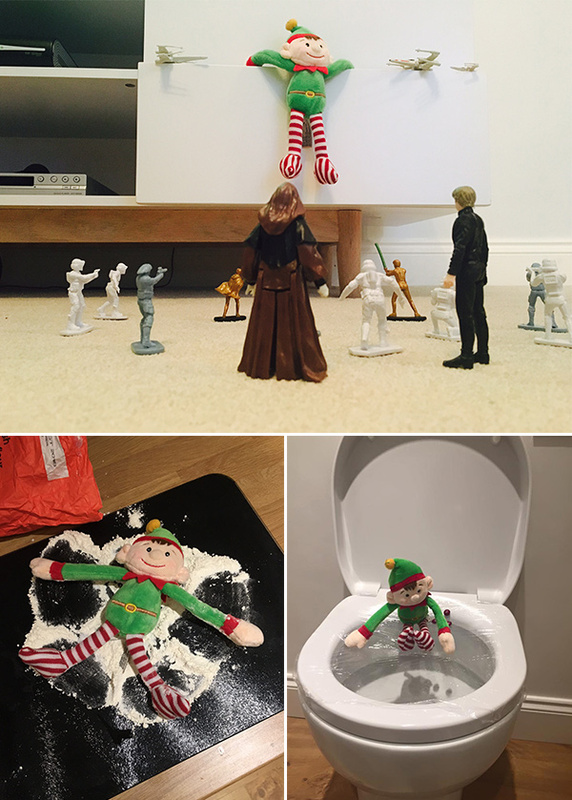 We have one, and our kids absolutely love it – check out some of our better elf portraits below. We luckily gain business through many different streams of advertising, but none has a conversation rate higher than a recommendation. I take great pride in the fact our clients recommend us so often, and its the main reason we continue to grow as a business. I love helping businesses grow and its why I love my job so much, so when people come to us for marketing advice, I always start with what is often a free form of marketing – customer retention. Ensuring you always do the best you can no matter the circumstances and try and maintain a polite, helpful and smiley outlook, your clients and customers will love you and I suspect, recommend you when ever they can.